Those of my avid readers who are of a similar, or perhaps older, age than yours truly may remember a Buddy Holly record, which he recorded in Clovis New Mexico in 1957. Believe it or not it featured drummer Jerry Allison pounding out the beat on a cardboard box! The song was covered by the Rolling Stones in 1964 and was a major hit in the UK. No cardboard box this time instead it had a strong Bo Diddley beat. Other artists who have also covered the song include Rush & Tanya Tucker! The Grateful Dead to the best of my knowledge didn’t record it they however first played Not Fade Away on June 19th 1968 and subsequently performed it more than 600 times before the group disbanded. Not Fade Away is the title of a book by John Gribbin about the life and music of Buddy Holly, its also the title of a book by Alan Heek, its subject matter is staying happy when you’re over 64! "Wonder if it will keep the over seventies happy" I hear Jenny say. Having said that I was happy with the way that the old RS400 I bought the other week (to help me regain my youth), scrubbed up! Buy a new yacht or powerboat with a gelcoat in a majestic dark blue, racey red, carbon black or even British Racing Green and yes it will look superb in the showroom or straight out of the box. However, five, ten, fifteen or maybe twenty years down the line will it still look as 'smart' as a white hull which has also not been polished on a regular basis? 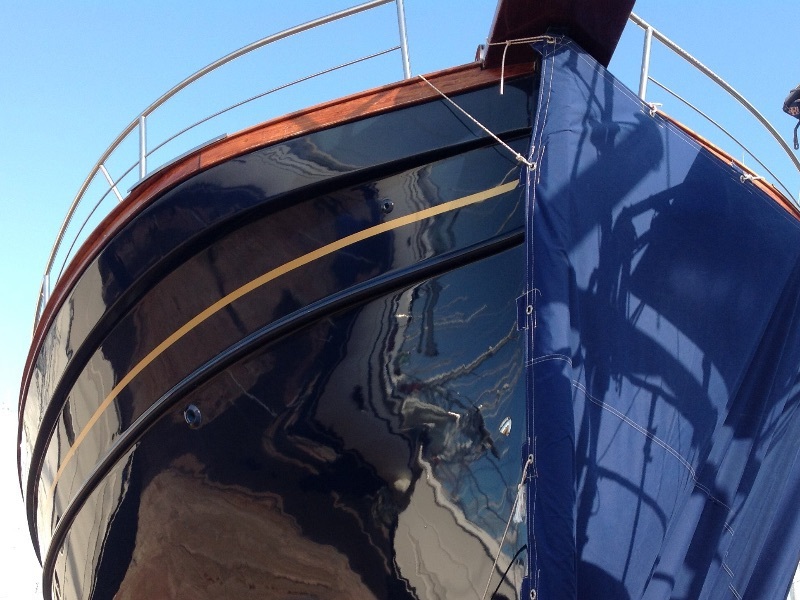 The Mystery 35 with classic lines drawn by Stephen Jones, was originally built by Hunter Boats, then Select and finally Cornish Crabber, and has, with only two exceptions, been moulded with a dark blue gelcoat. In that colour they do look superb but as mine and Jen’s end game, once we had finished fitting her out, was to keep Hindsight in sunny climates I was that second person to break the mould and go for a light colour; pale grey with a red waterline band painted in two pack polyurethane (two pack paint in bright colours tend to retain their colour much better). When I was a boy I can still remember my father regularly polishing his Morris Oxford and his next car a Riley 4/68. However these days it's rare to see people washing their cars on the front drive, never mind polishing them, perhaps that’s why an awful lot of folks (not our readers I hasten to add) don’t polish their boats on a regular basis! Unlike the paint finish on a car, a gelcoat finish does need regular attention to keep it looking smart and, more importantly, protecting the resale value. At least once a year you should give it a treat and use a good quality polish to maintain its looks, my preference is Meguiar’s Premium Marine Wax. If there is a little light oxidation, the surface is slightly ‘chalky’ (run your finger over the surface and it comes away with a deposit on it) their Color Restorer is the one to use followed by at least one coat, preferably two applications of the Premium Wax. Meguiar’s Oxidation Remover is a heavy duty cleaner which safely removes moderate oxidation, waterspots and scratches from gelcoat surfaces. It restores colour adding brilliant shine and gloss, once again finish off with the Premium Marine Wax polish to lock the colour and gloss in. My recently acquired old RS400 was given the ‘oxidation’ treatment followed by the polish. 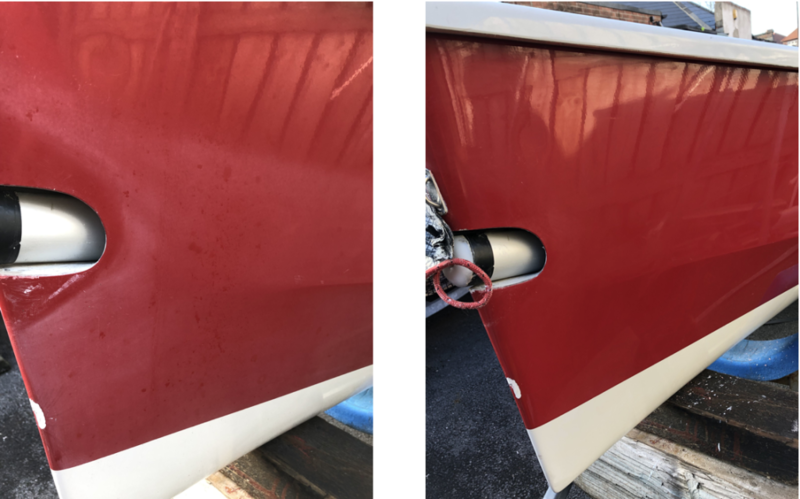 If the gelcoat is as bad as the Beneteau pictured above it may well come up looking better if first you rub it down with something like 800 grit wet and dry then, as 3M suggest, finish sanding with 1500-grit as its easier to buff out a fine grit scratch. 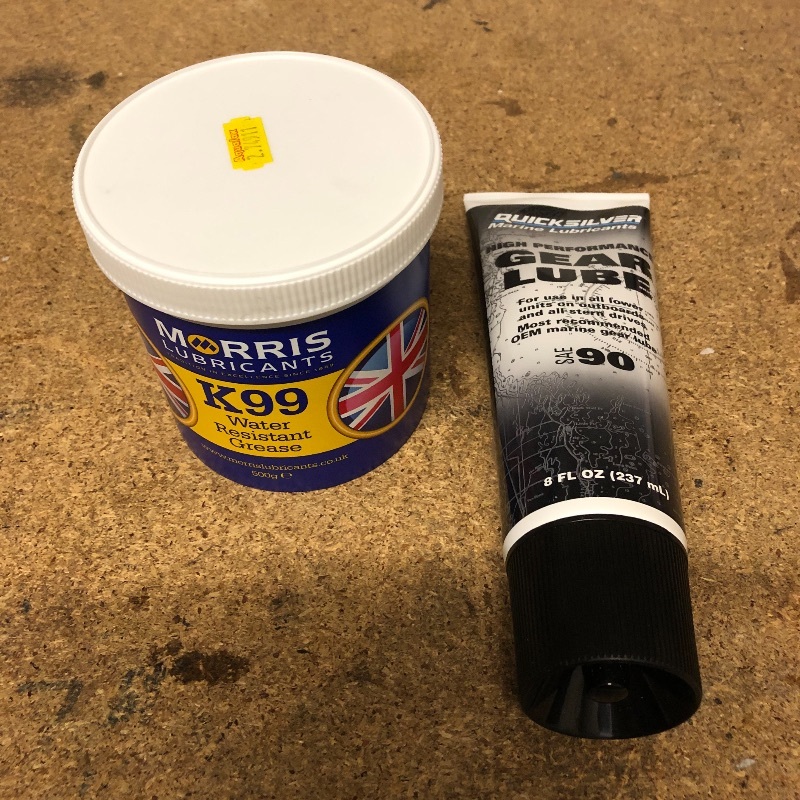 When wet sanding by hand, soak the abrasive paper in a bucket, if using a machine you can wet the surface using an old household spray bottle but add a couple of drops of washing up liquid to the water to keep the gelcoat surface and the grit lubricated. Beware of corners and the edge of the topsides as gelcoat is often thinnest there. Once you have an even matt surface, follow it up with Meguiar's colour restorer and then polish. 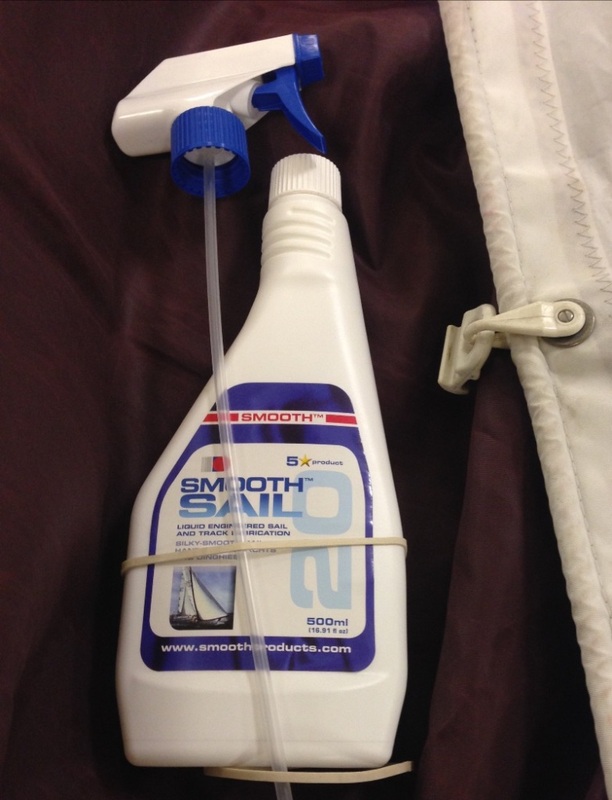 If you have a coloured gelcoat such as dark blue, red etc and keep your boat in a sunny place, there is much to be said for purchasing a sun shade to protect the gelcoat, its initial outlay is soon offset by the protection it gives against fading! Gelcoat staining as a result of the boat being used on waters that have a high concentration of peat such as Kielder water or Loch Lomond or berthed/used on a river that is discoloured can, with a very little elbow grease, ‘change colour.’ By using an excellent stain remover called Y10. 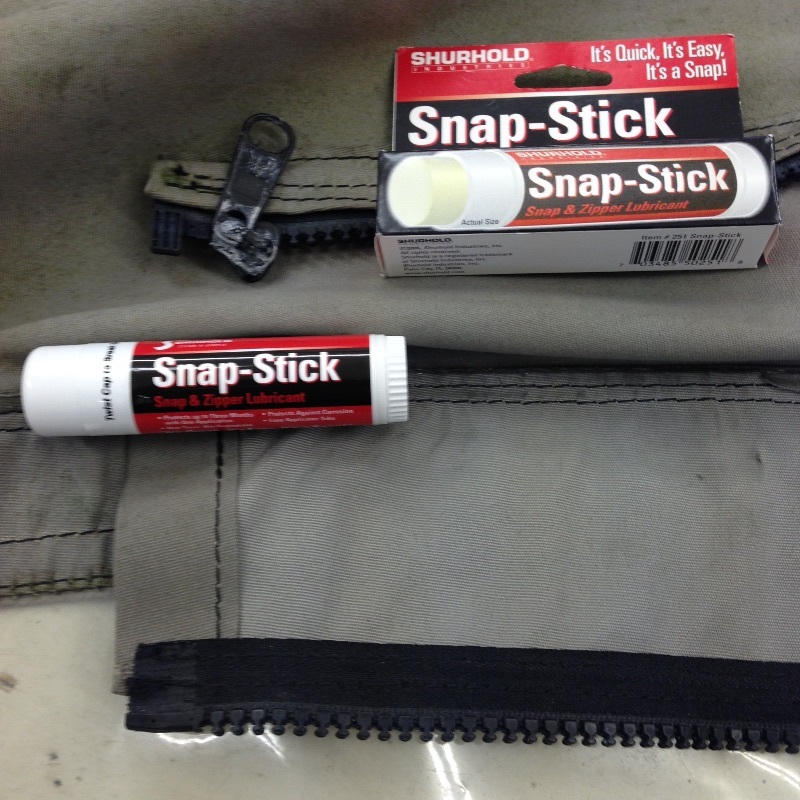 This product is an oxalic acid based paste that you brush on, leave for 10 minutes and wash off. The effect is dramatic as can be seen when it's been applied to the bows of this classic Contessa 32. Finally, if you want to take the easy route, why not consider buying a dual action polisher like the Shurhold, a professional grade machine designed for the novice! Not cheap, however I bought mine some 10 years ago and it's still going strong. 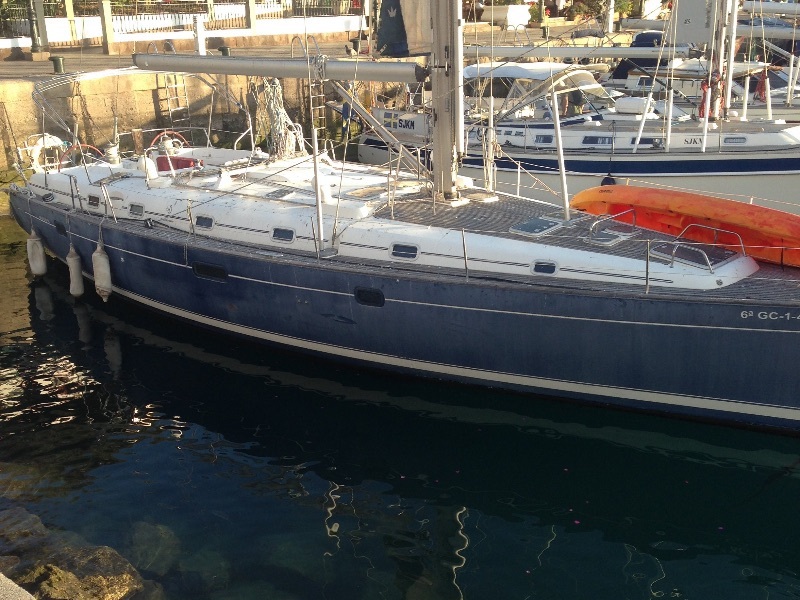 It has helped keep both my previous yacht, the Channel 31, and my current boat free from the ravages of the Canarian/Greek sun! If you don't want to purchase outright a good quality polisher, perhaps check out your local hire shop, with polishers speed isn’t everything so using a high speed electric drill and polishing pad is an invitation to possible gel coat damage! 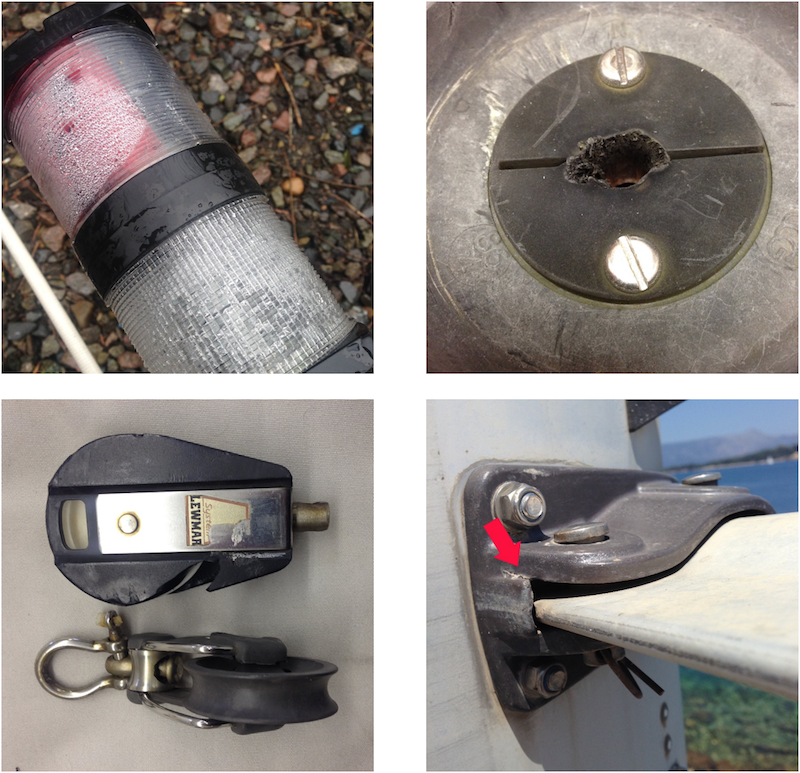 This entry was posted in General Interest, Top Tips Tuesdays, Repairs, Maintenance, Cruising, Life Onboard on January 29, 2019 by Rob Storrar. Check all internal bonding to ensure that the connections are clean and the cable is clipped up where necessary. if you have an MGDuff electro eliminator check that the springs are sound and it is positioned so that the brushes are in contact with the shaft. With my next birthday rapidly approaching, my better half suggested that, as I had decided to turn the clock back by at least twenty years by purchasing an elderly RS 400 dinghy to club race in a local early spring series before switching to sedate cruising in the Mystery mid May, it might be sensible to exercise my stomach muscles in the gym instead of down at the pub on a Tuesday night! Furthermore it might be an idea to also work on my calf muscles, as the last time I had hiked a Flying 15 in earnest was a fair few years ago and I had difficulty walking the next day. 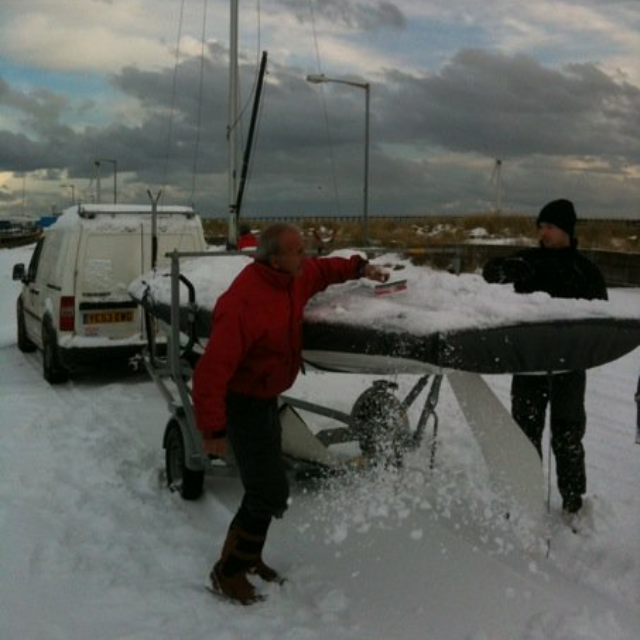 That was not because I slipped on the ice whilst getting the boat ready to compete in the RNYC winter series! Never one to disobey Jenny, this past Saturday saw me 'enjoying' a conducted tour of a gym which I am glad to say has a close association with a hospital who last year fitted me with a new hip and now say......go dinghy racing if you so desire! After seeing the facilities and casually noting that I would not be the oldest if I joined, I then signed up, closely followed by she who shall be obeyed at all times signing also on the dotted line. Questioning her on the drive home I asked her why she should take such a rash step, she muttered under her breath something about bingo wings. "Strange expression that" I said, “enlighten me.” It's believed to have originated in Australia (where else) where a lady's upper arm, through a slight lack of muscle tone, can wobble around like wings as she waves her winning bingo ticket in the excitement at having won. Jenny felt, last year, that whilst she was happy tiller steering, not wheel I hasten to add, the Mystery on the wind under full sail in up to a force four, winching in the 110% jib was starting to get beyond her, never mind hoisting me up the mast! Being the sympathetic sod that I am, I assured her that her upper arms were just as well toned as the day that I first set eyes on her across the beach at Tynemouth sailing club in 1969, but perhaps we should consider a very early combined birthday/Christmas present for her of an EWINCHER powered winch handle and if we did that we could cancel her gym membership within the 'cooling off period' they offered us thus saving us money which would be set against its purchase! As for bingo wings, she should keep them at bay by helping me hand polish the topsides, never mind rubbing down the antifouling. Why not go down the powered electric winches route I hear one or two folks say. Well for the Mystery there is, firstly, their location as the sheeting angle of the genoa is fairly close to the centreline and the Andersen winches that are fitted are mounted on the cabin coach roof and thus a winch motor would protrude into and through the headlining! Secondly if you do your sums and work out the cost of retrofitting a couple of sheet winches say Lewmar 40 self trailers at a discounted price of £2250-00 each plus the relay, switches, heavy duty cabling etc which then adds another £250-00 and then if you then get a boatyard to do the work you probably wouldn’t get much change out of £3000-00 per winch. Go down the ‘Anderson route’ and the discounted price of a single similar size winch jumps to £3500-00 before the add on(s). However assuming you can upgrade your winch, ie fit a motor/gearbox, a conversion kit will still cost you around two grand. 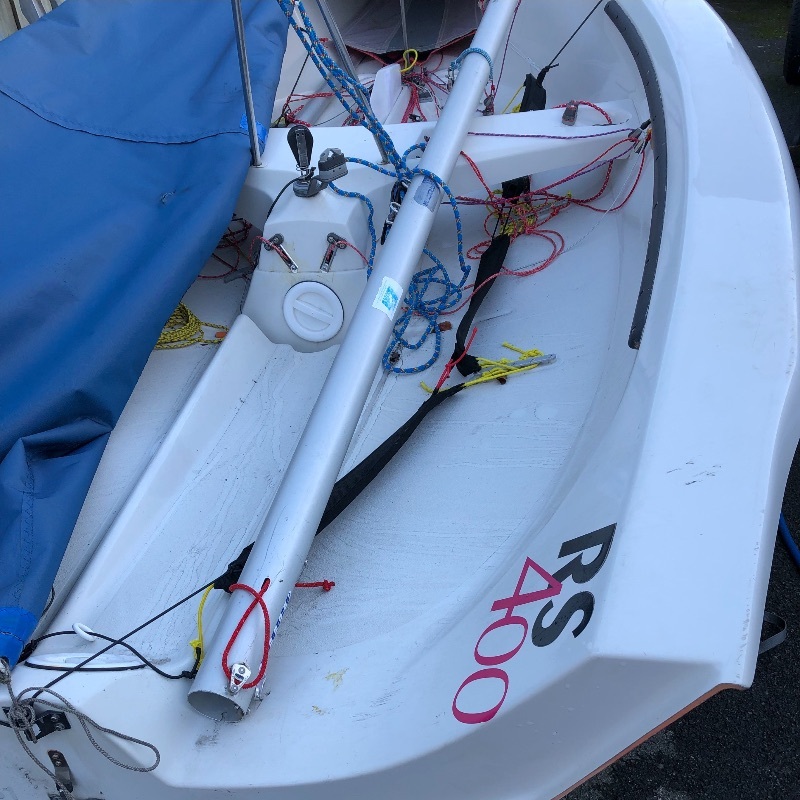 For example a Lewmar 40 conversion kit for a single winch will set you back £1800-00 plus cabling etc and boatyard charges and don’t forget you will need two kits unless you want to sail on one particular tack for the rest of your life! The beauty of an EWINCHER is that you only have to buy one to service all your winches, be it for sending a super slim me (after three months in the gym) up the mast, for hoisting the main, trimming the cruising chute and of course sheeting in the the jib. I gather that if your windlass fails it will even help recover your Rocna. The electric assistance is easy to use, with all the controls located on the hand grip, allowing you to keep winching as you normally would, but with the addition of considerable torque (80 Nm) while ensuring precision (15 to 80 rpm). You maintain the feeling of winching while considerably reducing the physical effort involved. You can use the assisted or non-assisted mode, or both at once, to ensure maximum precision all while maintaining the feeling of winching. 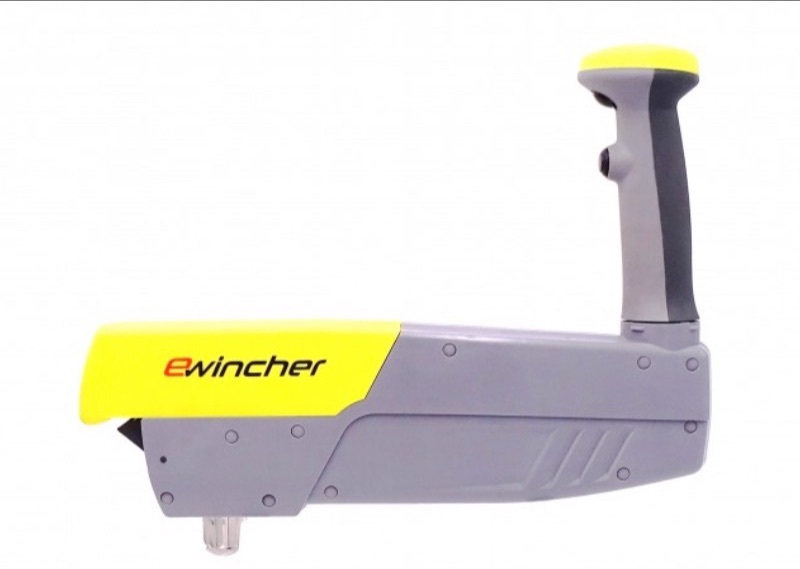 You can use the ewincher as a manual handle at any time. It’s always in the ideal position to limit your effort. This entry was posted in General Interest, New Products, Sails, Products in the spotlight, Top Tips Tuesdays, Crew Gear, Cruising, Gift Ideas, Life Onboard on January 22, 2019 by Rob Storrar. 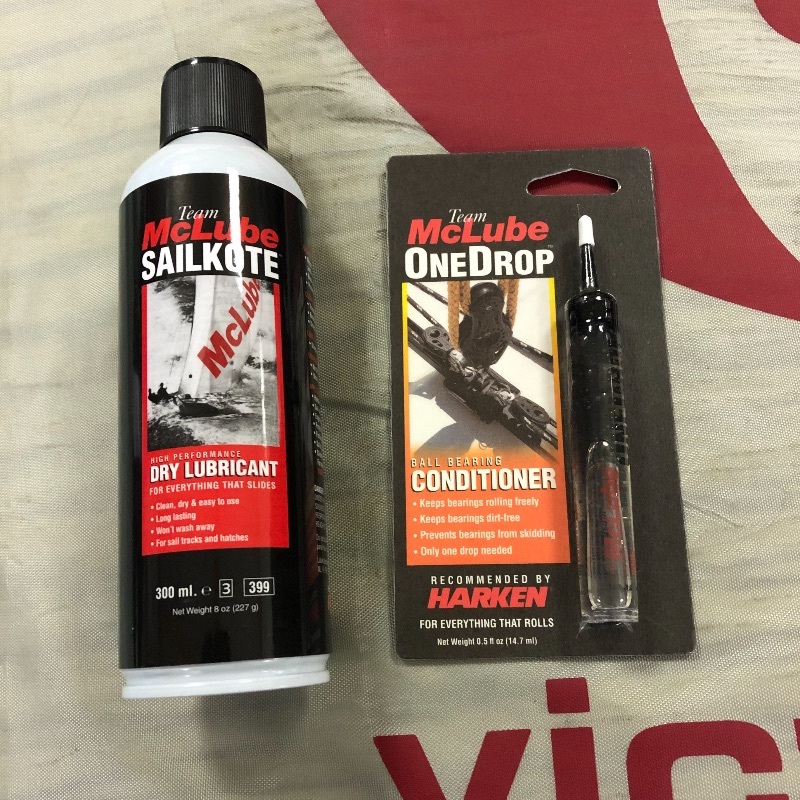 This entry was posted in General Interest, Sails, Products in the spotlight, Top Tips Tuesdays, Repairs, Maintenance, Rigging, Cruising, Life Onboard on January 15, 2019 by Rob Storrar. 242. Top Tips Tuesday - What Lurks Round The Bend? What lurks round the bend, and no it's not an effort on my behalf to attempt some toilet humour however... what’s that saying, ‘out of sight out of mind.’ How many times over the last few years have I blogged that if you haven't lifted your mast out recently or you have no intention of lifting it out with spring only three months away (four if you live up North like us hardy Northerners) you ought to dust off your pitons get your climbing boots out the cupboard and get up that stick?! However, before you climb, spend a few minutes reading the Spinlock guide to ascending masts. However in our humble opinion do not go up on one halyard always two. Assuming you’re going to do the climb it’s surprising what you can find up there. If, however, the boatyard or your insurance insist the mast comes out when you winter ashore, set aside an hour to give it a good look over. 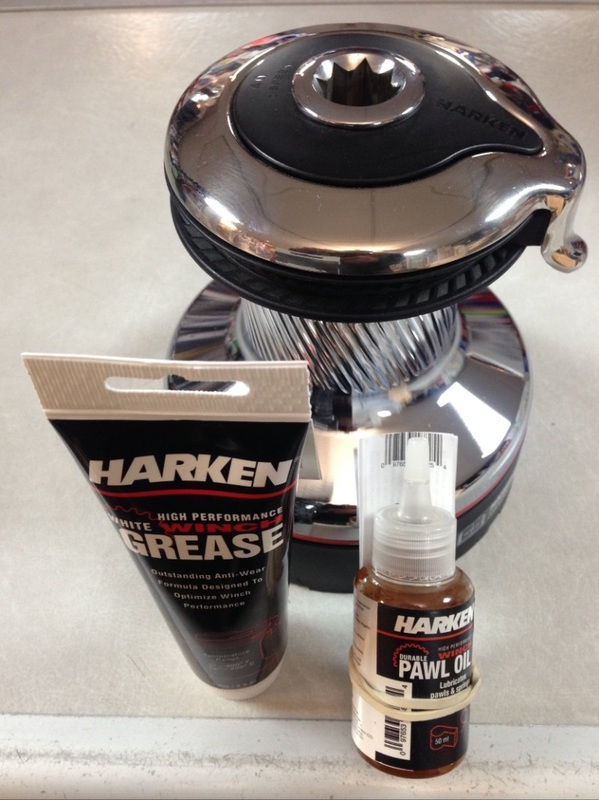 Once satisfied everything is hunky dory don’t forget to give it a good polish with Yachticon aluminium polish. 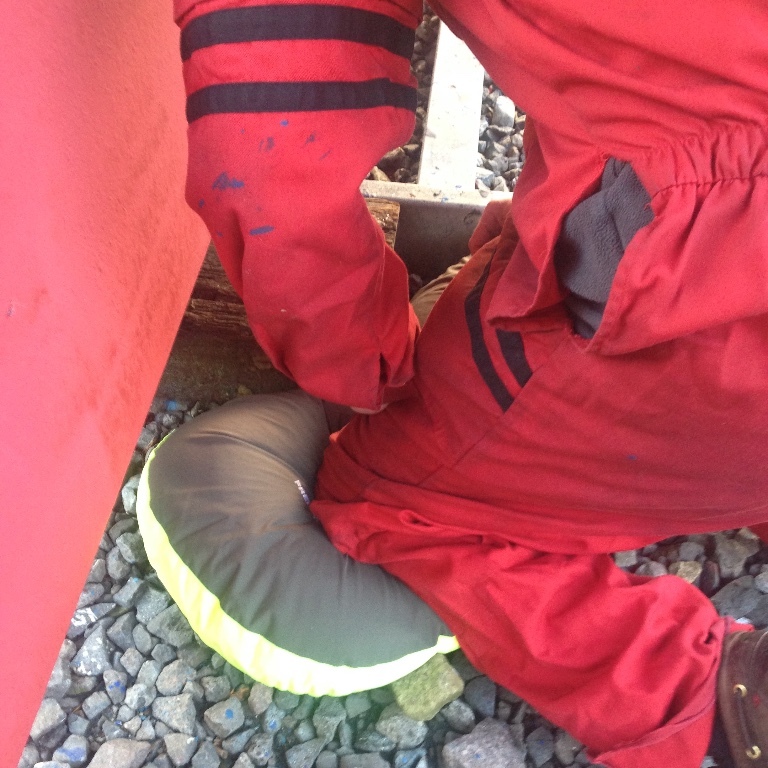 Our blog 'Spars & Rigging' posted early last year will give you an idea or two of what to look out for. Apart from the usual opaque lens, damaged wiring through UV degredation or chafe, wobbly brackets due to missing or poor quality fasteners, forestays with damaged strands I once found a fish, sadly I hadn’t taken my mobile up with me to record this fishy tale, but I did bring this tiddler back down to deck level for the owner to see. Charlie then assured me that he had never had the mast in the water knockdown whilst Trinity has been in his ownership! 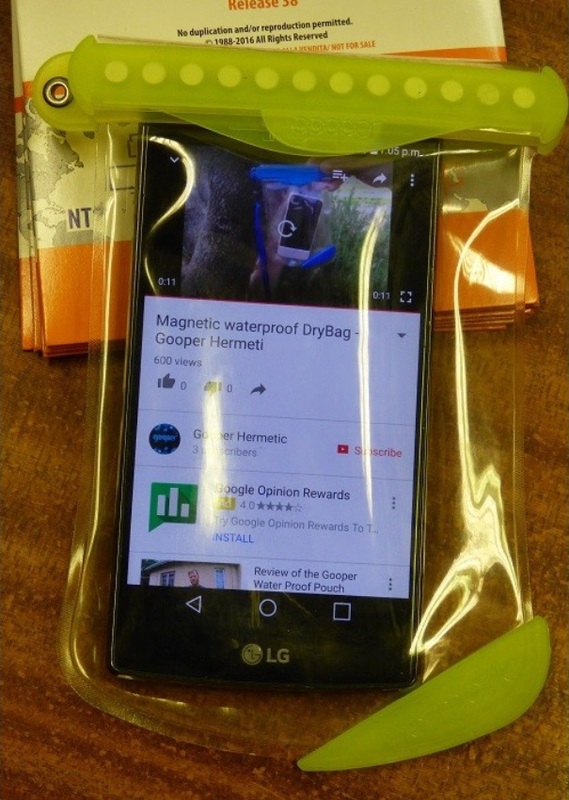 As I mentioned I did make the mistake of not taking a mobile phone or camera up that time with me to record any potential issues, however if climbing with a mobile as against a digital camera don’t forget to stick it in one of those superb Gooper bags not only are they 100% waterproof and touch friendly but they are supplied with a strong lanyard! If you think you have an issue in a hard to reach place, say in the bilges, behind a bulkhead, an image that you have captured and you can view after you have extracted yourself from a place that you never thought you could get into can be a Godsend. Perhaps take a Freebag Pro with you as well as the camera/phone, resting on one can make the unbearable bearable. A longtime customer of ours with a elderly, but, in my opinion superbly maintained H Rassy bought the 90 degree copper pipe (see headline image) fitting into the chandlery some months ago. 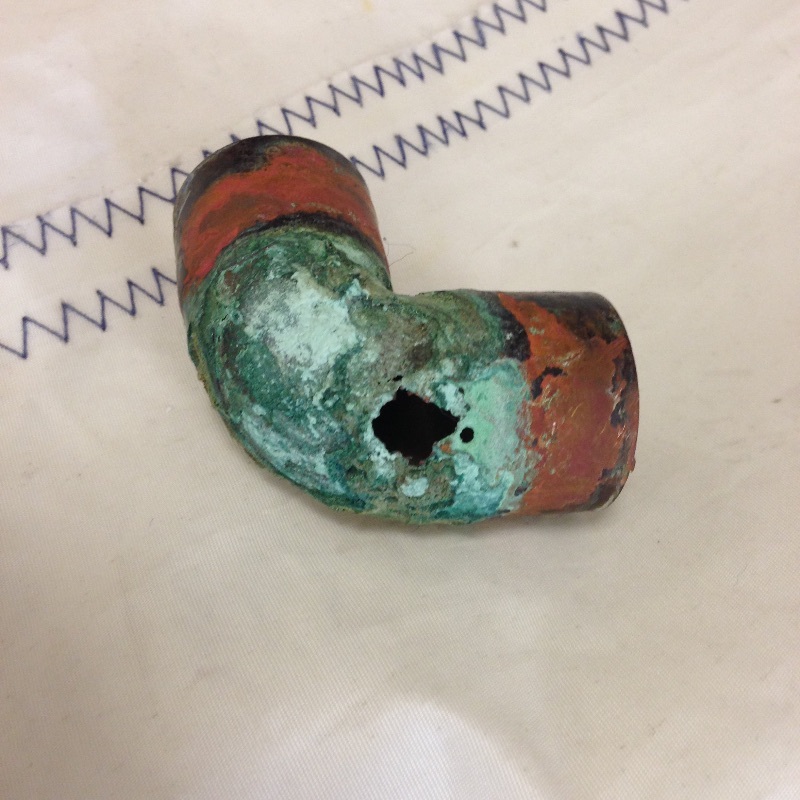 This was a few weeks later after he had purchased from us a replacement DZR ball valve. 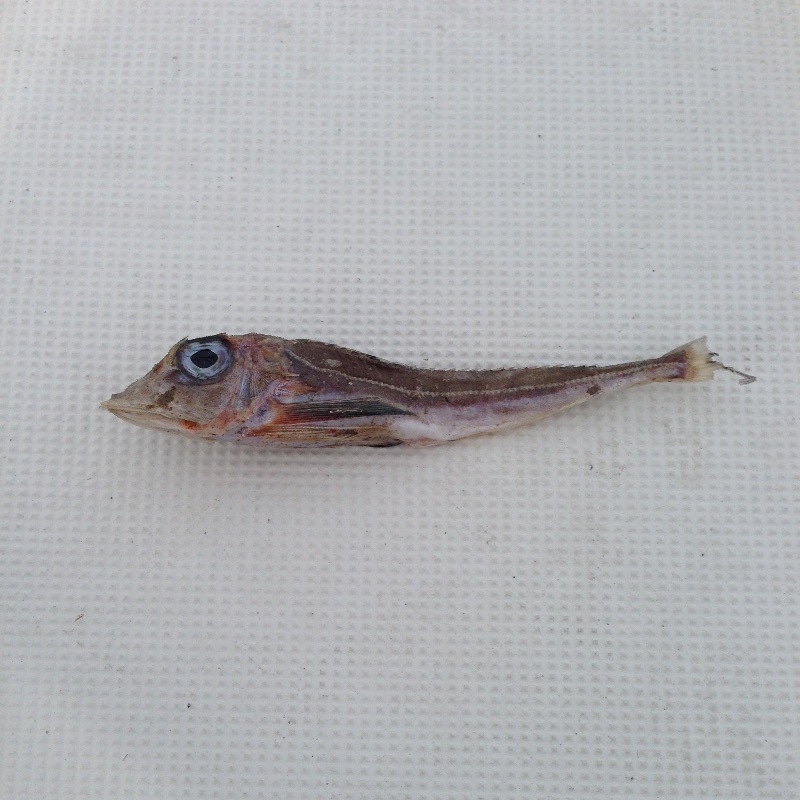 Water was making its way into the bilge; he suspected the valve, duly changed it but still this liquid kept appearing. Eventually it was traced to one of the cockpit drains. Lesson to be learnt, always dip your finger in the ‘water’ and check if it’s salt water or fresh, however beware if you have a dog onboard as Jan, a friend and good customer of ours, found out to his cost earlier this summer! This entry was posted in General Interest, Top Tips Tuesdays on January 8, 2019 by Rob Storrar. 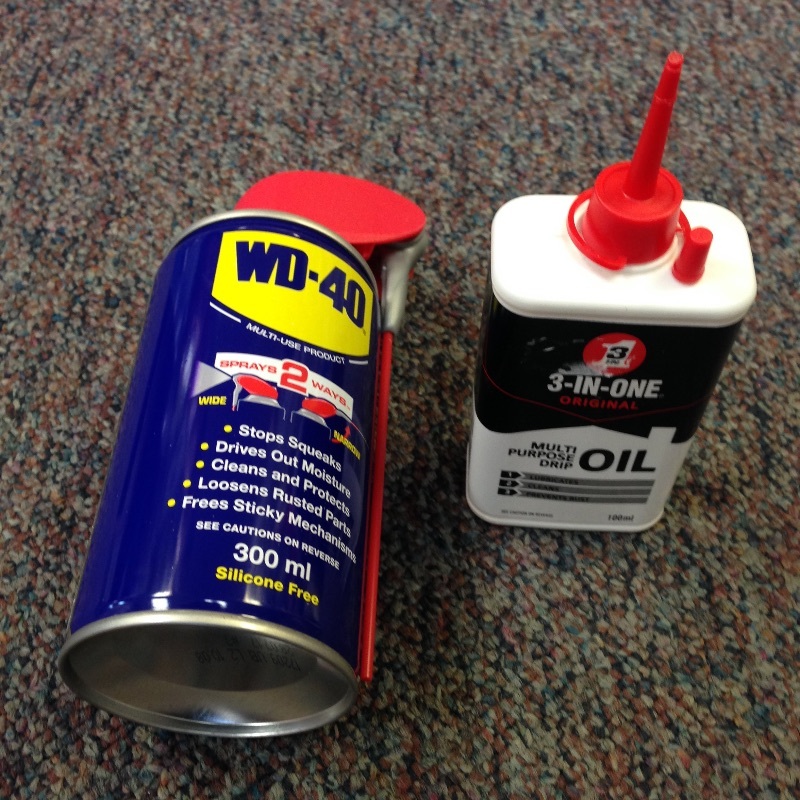 For a good few years we have been singing the praises of Grotamar, the diesel fuel additive that helps prevent the dreaded diesel bug. We first mentioned this product back in my blog of October 2010 and since then we have used it ourselves on our own craft and sold it to a variety of users like the local truck service centres, domestic central heating oil suppliers and a number of farmers as well as scores of powerboat and sailboat owners. We were, I must confess as they say in footballing terms, ‘gutted’ when the importers of this product advised us that it would no longer be available for retail sale in the UK. November in Amsterdam for a lot of the marine trade means METS, and to this huge Marine European Trade Show (almost 16,000 exhibitors from all over the world) went our commander in chief Andy armed with a load of missions including ‘find a replacement for that excellent product Grotamar’ After three hard days of foot slogging and the occasional Amstel in the evening he once again landed on these shores, this time with his passport, wallet and loads of technical leaflets with him, but that’s another story. Marine 16 Ltd was a company that caught his eye and it’s a British company to boot, which makes a pleasant change. They have, in their own words, been ‘bringing the most comprehensive range of fuel treatments on today’s markets.’ Yes I had heard of them and they had an excellent comparable product to Grotamar according to Practical Boat Owner but as the saying goes ‘if it ain’t broke don't fix it’ so we never stocked it. 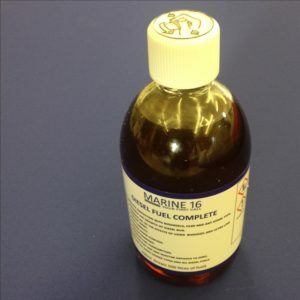 Well with our supplies of Grotamar now well and truly dried up, we are now stocking the complete range of Marine 16’s diesel fuel products. Incidentally the guys at Marine 16 are ‘proud to supply the RNLI’ what better recommendation do you need! 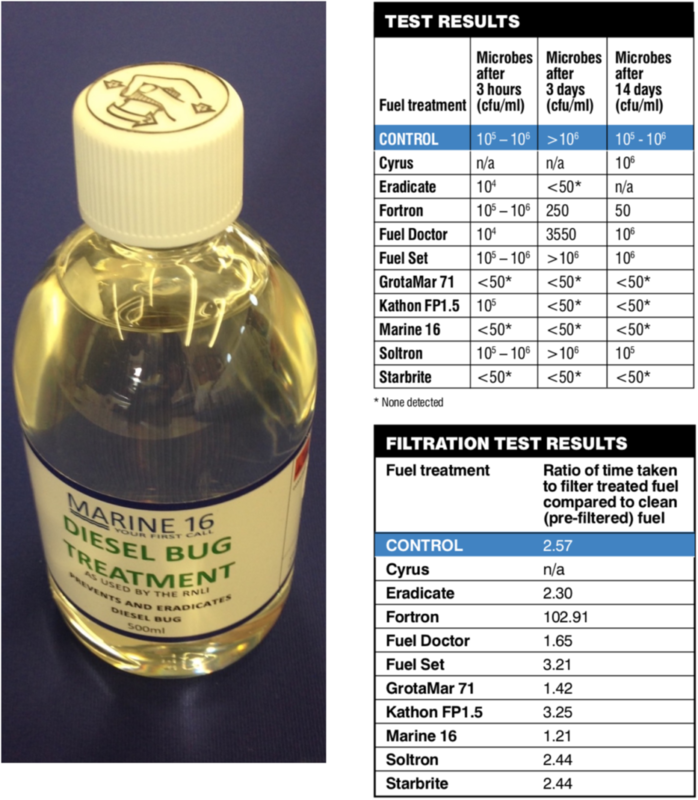 If you think your diesel fuel supply may have an issue with the dreaded bug, we do sell at a very reasonable cost a Marine 16 Ltd Diesel Bug Testing Kit and can be used to check for microbial contamination of diesel fuels in boats, storage tanks, home heating fuels etc. 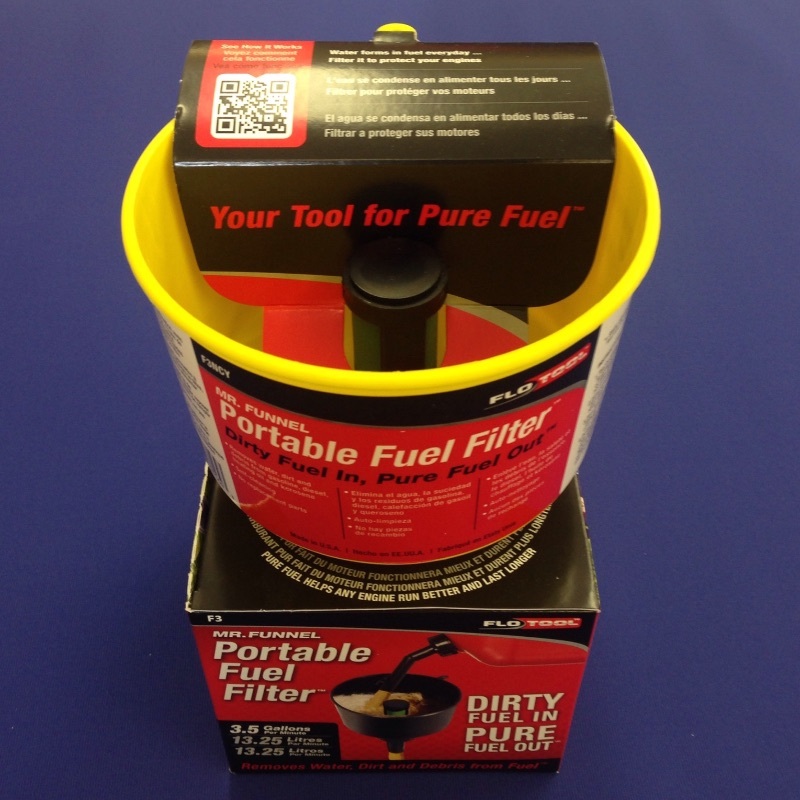 It is easy to use and can of course put your mind at rest if you think your fuel is dodgy! Diesel Bug is the boating name given to the organisms that forms slime in diesel fuels. Diesel bugs are, in fact, microbial organisms and come in three main varieties where fuel spoilage is concerned. There is bacteria, yeasts & moulds in case you were ever asked at a sailing club quiz night! They feed on water, hydrocarbons and nutrients in the fuel and, if present, form a slime in the fuel and on the sides of the tank which, when disturbed, such as in rough seas, blocks fuel filters which often leads to engine failure. 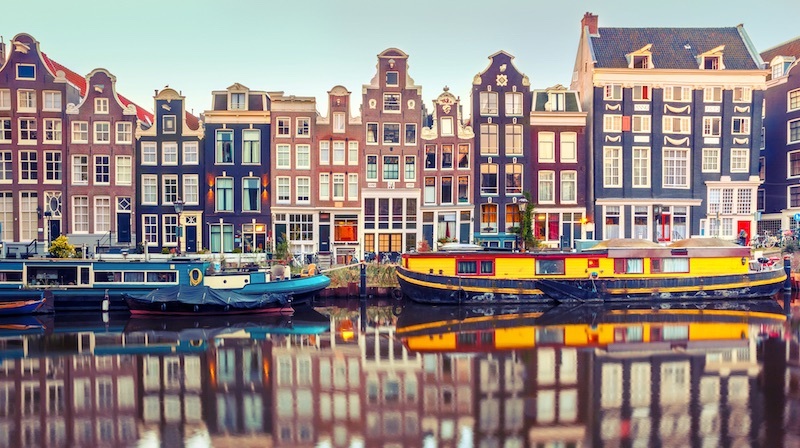 Regular users of Grotamar will be delighted to learn that Marine 16 has the same active ingredient and not surprisingly, produced very similar results and in a Practical Boat Owner test conducted some months ago Marine 16 performed as well and slightly better in filtration test results. In the PBO decontamination trial it gave a complete kill after just three hours and came top of the list for filterability. Marine 16 not only prevented microbial growth but killed inoculated microbes to below detectable limits after 14 days. You may ask how does the dreaded diesel bug grows? Well its impossible to prevent microbes entering fuel tanks and systems however the presence of water is a key factor in determining the rate and extent of microbial growth so to help prevent Diesel Bug we would suggest investing in the brilliant Mr Funnel. Not only will it prevent dirt and debris entering the tank but its built in filter is so clever that it does not allow any water present in the fuel to pass through! What Mr Funnel cannot do though is stop condensation, so don’t forget to keep your tanks topped up, especially in winter! 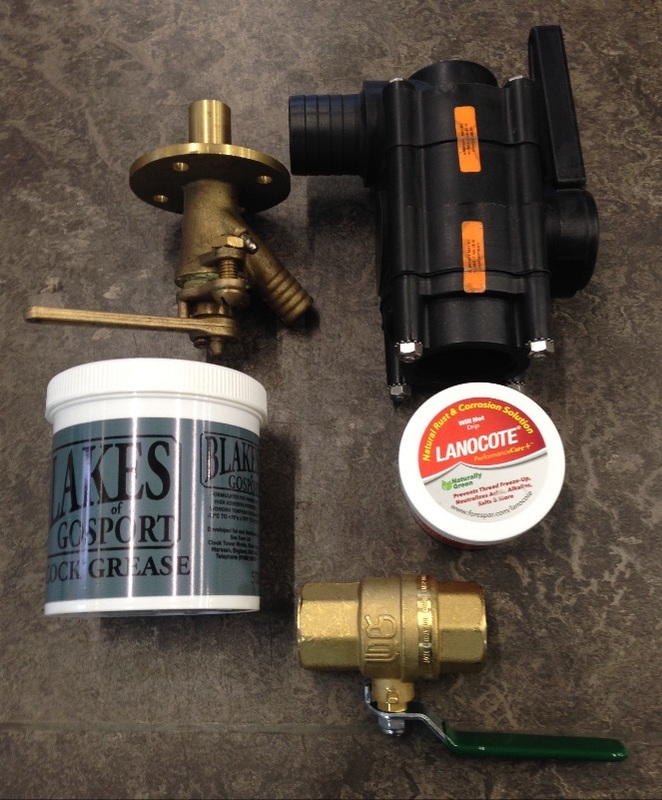 This entry was posted in New Products, Products in the spotlight, Top Tips Tuesdays, Repairs, Maintenance on January 1, 2019 by Rob Storrar.